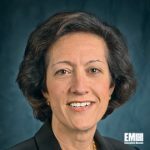 Barbara Humpton, executive vice president and chief operating officer for Siemens‘ U.S. federal government subsidiary — Siemens Government Technologies — has been appointed president and CEO of the business in a move that takes effect Oct. 1. SGT said Monday Judy Marks, CEO of the subsidiary since its 2011 launch, will transition into an executive vice president role at the Houston-based Dresser-Rand business Siemens closed its estimated $7.6 billion acquisition of over the summer. Marks will oversee the integration of Drasser-Rand into Siemens as EVP of global operations and also lead development and deployment of large-scale projects and programs, Siemens said. Humpton and Marks, both nearly three-decade GovCon industry veterans, were inducted into Executive Mosaic’s Wash100 list for 2015 in recognition of their influence and leadership in the sector. Humpton joined Siemens Government Technologies in October 2011 as senior VP of business development and was appointed to the COO role in late 2014. Our sister site ExecutiveBiz spoke to Humpton in January for a wide-ranging discussion on the federal government’s push to greater use renewable energy resources and the impact of a White House executive order on cybersecurity for U.S. critical infrastructure. 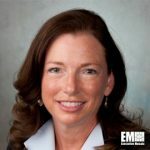 “We have seen how their information technology and operational technology share the same backbone, so there is a need to look at the cybersecurity of these components, ” Humpton said.